Ski season is upon us. Many experts (including myself) are of the opinion that helmets should be worn by all downhill skiers and snowboarders to help prevent head injuries. One of the “con” arguments proposed by some persons who object to wearing helmets is that they interfere with skiing in such a way as to perhaps make it more dangerous. In their opinion, this might occur by obscuring peripheral vision or diminishing the perception of sound. A very important article entitled “Do Ski Helmets Affect Reaction Time to Peripheral Stimuli?” (Wilderness & Environmental Medicine:22,148-150,2011) has recently been published by Gerhard Ruedl and colleagues from the Department of Sports Science at the University of Innsbruck in Austria. 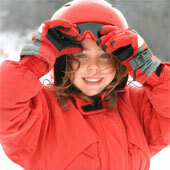 This post, Study Looks At The Effectiveness Of Ski Helmets In Preventing Head Injuries, was originally published on Healthine.com by Paul Auerbach, M.D.. The following discussion is cutting edge information, but not simplistic or necessarily easy to understand or apply. However, I have learned that my readers are often volunteers in settings where intensive care medicine must be applied, and want to read more than simple approaches to therapy. So, I am going to do my best to interpret for you what has recently been published in the New England Journal of Medicine in an article entitled “Mortality after Fluid Bolus in African Children with Severe Infection” (N Engl J Med 2011; 364:2483-95) written by Kathryn Maitland and her colleagues. This post, Study Investigates The Role Of Fluid Resuscitation In Treatment Of Life-Threatening Infections, was originally published on Healthine.com by Paul Auerbach, M.D..
Everyone walks. What distinguishes hikers is that walking does more than transport us, it transforms us. But nowhere is the thoughtful undercurrent of hiking celebrated. The wisdom we glean from the wilds is a match lit in the rain. That’s why we created this book: to cup our hands around the flame. These journal entries are the mental waypoints we recorded while hiking 30,000 miles / 48,280 km (more than the circumference of the Earth) through wildlands worldwide. Accompanying them are photos of the places (primarily the Canadian Rockies, Utah canyon country, and New Zealand) where we conceived and noted the initial ideas. We hope our words and images compel you to recognize, voice, own and honour the thoughts arising from within while heading outdoors. Doing so will deepen your fulfillment. A truly adventurous life is contemplative as well as vigourous. This post, Book Review: Heading Outdoors Eventually Leads Within, was originally published on Healthine.com by Paul Auerbach, M.D..